We’re so picky about our supply base, we’re our own largest supplier. Have close tolerances? 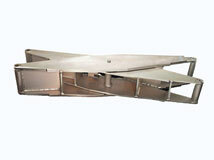 We do precision sheet metal fabrication. Not sure if the design is right? Whether you need prototypes or production runs, we have the sheet metal fabrication solutions to meet your needs. Our capabilities include punching, rolling, forming, shaping, compressing and joggling on our state of the art CNC router, CNC press brake, 600 ton hydraulic press, turret and other fabrication equipment. We have many years of experience making doors, cabinets, drawers, and all types of enclosures not to mention frames and other structures. We also offer corrosion protection for stainless steel utilizing our passivation process and for steel with our phosphate line. We were one of the first finishers in the Midwest to acquire ROHS compliance, demonstrating our commitment to stay on top as one of the elite coating service providers in our area. Our painters are perfectionists. We have the experience, tools and processes to meet a wide variety of industry specific standards. We provide paint finished to most military standards including CARC coating. 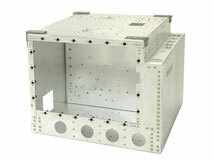 We also specialize in paint finishes for the medical and aerospace industries. 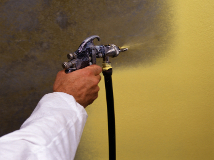 Our capabilities include epoxies, polyurethanes, enamels and waterbase paint as well as walkway coatings, textured spraying, polylube spraying and wrinkle coatings. We produce products finished to any classification callout with support from our masking, sanding, silk screening, partmarking and barcoding teams. Our special expertise is finishing products with tight tolerance paint specifications and/or high cosmetic requirements.